I know that the best recommendation is to start seeing a therapist and opening yourself about what you’re feeling so it can be diagnosed. But let face it, a therapy session can be really expensive, especially for teenagers who won’t find the support of their parents. There are other more accessible options than a therapist to know if you have depression, anxiety, bipolar disorder, or suffer from any other one of the wide variety of mental illnesses. Let’s make a quick recap of the most known symptoms of depression. This means that we stop loving our hobbies and don’t want to engage in any kind of activity that usually is pleasurable to us. This is probably the most recognized and easy to spot among all. 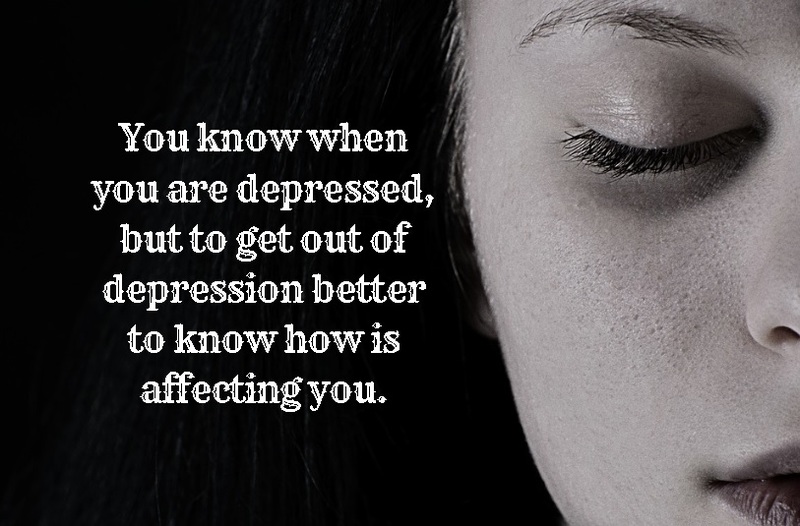 We must know that feeling sad and down is one thing and usually goes away by itself. But when those feelings are constant we can even feel the pain in our bodies. This is the one that usually leads to the feeling of emptiness. People who think this way usually have ideas like “how everything will continue without me?” but most people really don’t want to die, they want just the pain ends. Either eating too much or not wanting to eat is a way that our body tells us that there’s something we need to pay attention too. Everything gets harder to understand and you feel like your mental process has gone down, but cannot find the reason, then probably you have this symptom too. Boredom and anxiety can cause this too. This means that you cannot relax and be quiet for enough time. Closely related to not feeling an inner peace. The heart and the mind are troubled with all kind of thoughts and feelings and its manifestation is mostly with angriness. According to psychiatrists, if you have 5 or more of these symptoms for at least 2 weeks, then you can be diagnosed with depression. The thing here to be sure you have depression or not is if these feelings and symptoms are recurrent in your life. The best way to really know how you feel about yourself is by knowing yourself as best as you can. Take a deep breath, close your mind and start to navigate inside your mind to find what’s the meaning of this moment. Realize that this moment is what we all have and try always to keep being your best version for this moment alone. This will not come as easily as it sounds, but keep doing it every day at every opportunity you have and something will grow inside of you. That something is the certainty of betters things to come because you’re giving your best as best as you know and as best as you can.